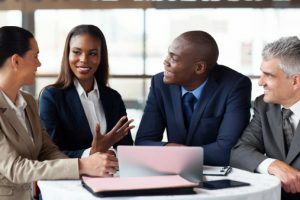 We will teach you everything you need to know to take your unique experience and apply it to become a well-rounded executive coach. Our program covers the following topics - Change, Decision Making, Performance Management, Responsibility, Accountability, Authority, Feedback and Coaching, Facilitation, Teambuilding, and Work/Life Balance. Our Leadership Behavior Coaching Certification walks you through the importance of behavior in leadership development. Our coaches manual is written to the coach to help them in managing others. The ultimate objective of our Life Coaching program is to teach you invaluable lessons and advanced skills designed to help you assess what is important for your clients and then help align their goals with this knowledge to make positive changes in their life. You will learn how to analyze behaviors, values, habits, and goals to determine exactly what needs to be done to successfully achieve those goals. Addictions often become so ingrained that a person’s brain automatically turns into negative self-defeating behaviors and habits. As a Behavioral Sobriety™ Coach, you’ll help your clients understand their underlying natural behavior and how these can help lift them or potentially hurt their recovery efforts. Looking at the definition of Behavioral Sobriety™, most people simply don’t know where to turn to get this type of education or help for themselves or those they love. This is a fundamental reason why people need the assistance of a Behavioral Sobriety™ Coach with a structured and logic program, especially in the first stages of their recovery efforts. Additionally, if you chose to encompass a holistic supporter and family-based approach, you can provide insight into the family dynamics, too. Often, recovery efforts can be significantly enhanced by providing insight into the contributing ‘relationship factor dynamics’ in the client’s life. DISCflex Assessment and Report to Complete - "A Report About Me"